Whether your doing a landscaping project, resodding your lawn or simply adding a garden to your home, our topsoil will insure you have a good fertile base for your plants to grow. 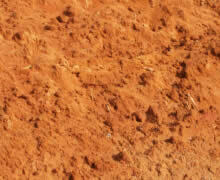 We welcome all orders large or small, whether you need 1 yard of soil or 500 yards, we can accommodate you. Need it delivered? We can deliver! Just give us a call or click on our estimate page in the top menu. 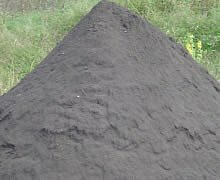 Are you a lawn and garden company needing topsoil for your customers? Our product is cheaper and more cost effective then purchasing bags at home improvement stores! Call us today and have one of our representatives go over pricing details with you. 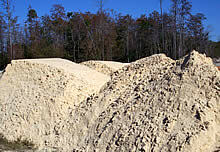 Washed sand is more commonly used as a mixer for concrete and masonry work. 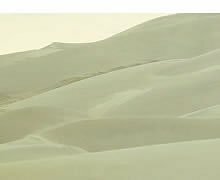 Yellow sand is used to form a firm foundation under sidewalks, paver walkways and other constructions that need a non shifting platform. #4 Size Rock – Chunk Sized, for various projects. #57 Size Rock – Quarter Sized, for foundation base and decoration. 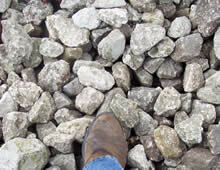 #89 Size Rock – Pea Gravel, for walkways and decoration. Oversized Rock – Commonly used for Sea Walls. Our premium clay is the best choice for all your recreational needs. Whether it be baseball fields, horseshoe pits or track and field. Our clay is top quality and will suit your needs perfectly. 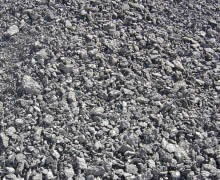 Asphalt millings are often used for making dirt roads more stable and drivable, perfect for filling in mud holes and large dips in your roads and driveways.